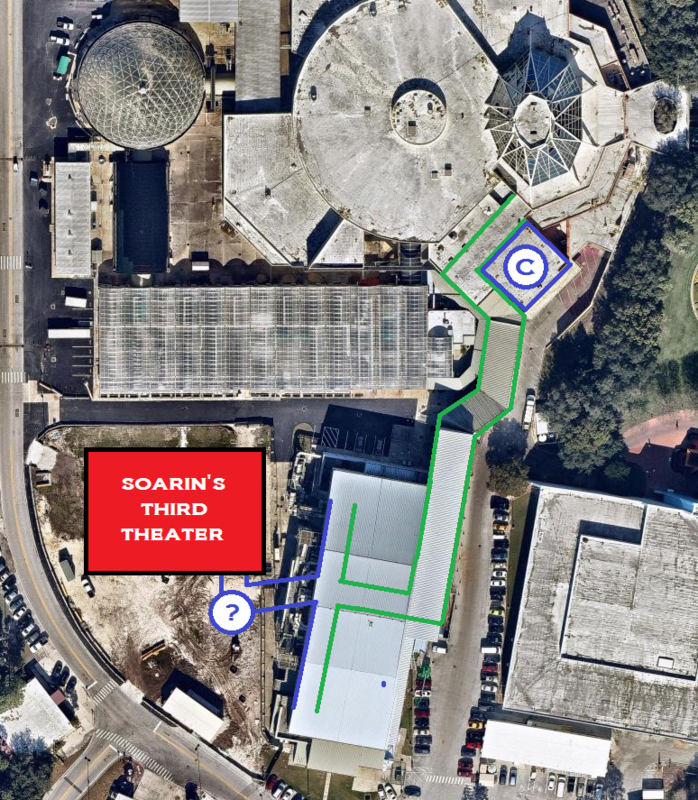 Back in December 2014, the OTPN Team was able to confirm that the popular Soarin' attraction (located inside The Land pavilion at Epcot) will be receiving a completely redesigned queue area that will use the existing footprint as well as spaces that were previously unused. This expanded (and themed) waiting line will be necessary due to the construction of the attraction's third theater, which is also in full swing (we included some construction photos in this post). Work officially begun in that area just a few days ago (walls were installed on Wednesday or Thursday). While the former stage is two stories high, it's unlikely that the queue will take up more than one floor, especially since it would be complicated to have Guests using wheelchairs move between floors. And that is all for now. We will continue to keep you up-to-date in regards to this project. Stay tuned. MAP: ©2015 NearMap. All Rights Reserved. 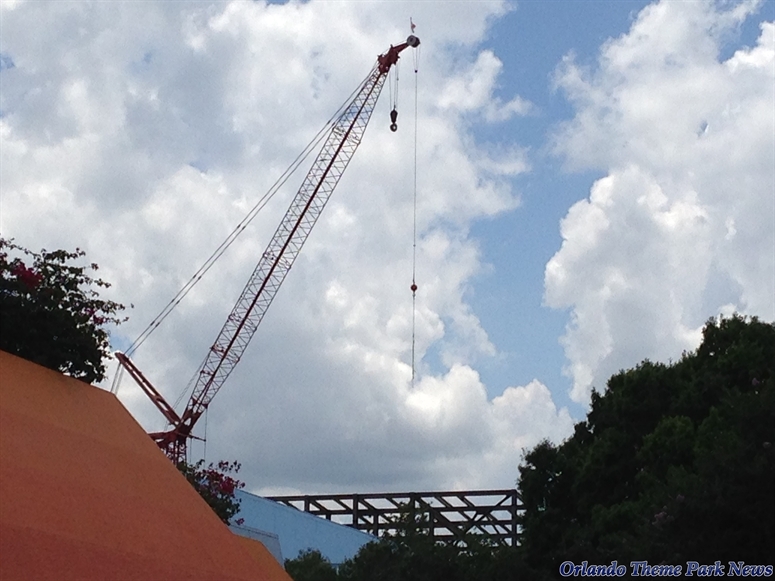 Maybe Disney will have the money to replace the roofing on The Land and Imagination when his is done! 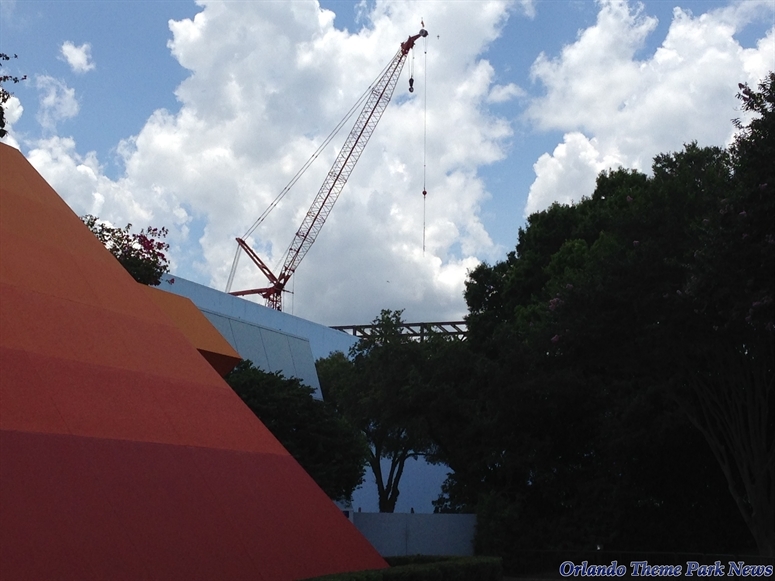 Could the worse queue in all of Walt Disney World finally get some improvements? While the Soarin' queue has always been incredibly boring, I appreciated the fact that it was indoors, at least, and out of the Florida sun and heat! 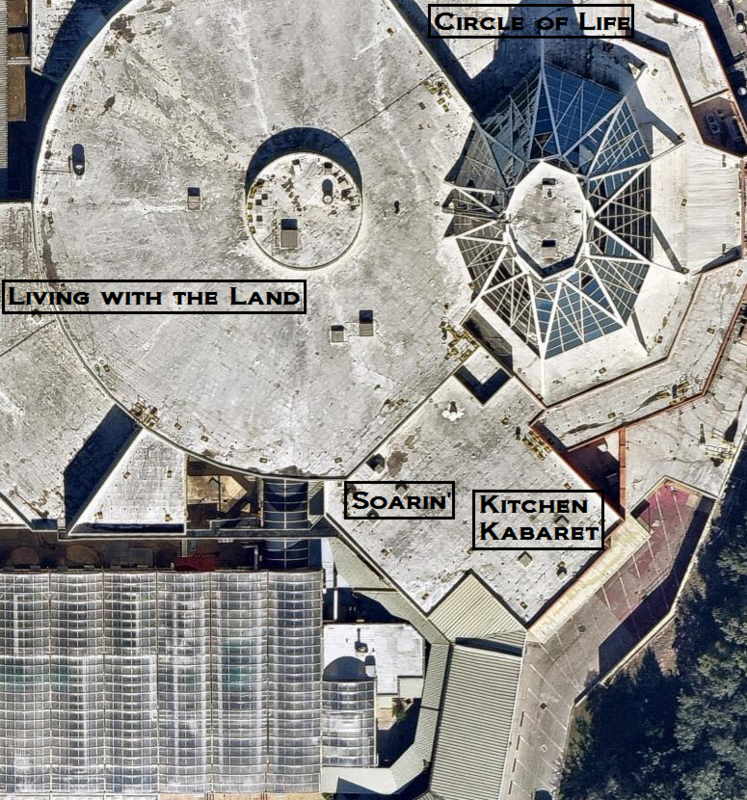 The one thing that's pee me off is that the area of Kitchen Kabaret/food rocks is still there so they could have still build Soarin without removing that attraction. It's time for queueless queue! They experimented with this on RnR several years ago, and have even implemented it on Dumbo, but haven't done much with it since.